Truth_revealed Heman is a johor con group. Their captain Mr.Heman gv buy call on idmensn 0.065,destini 0.4,dataprep 0.29..
All holland fried rice hohoho! Truth_revealed Con King Heman Ng! Rosmah Ali Tomolo wil break 30 sen... yahoooo!!!! Victor Yen Slow...Anyone knows when is the qtr coming out ? paperplane This stock after Uncle Lim bro sell apa cerita?? HoselGoh I think dataprep compete with Iris, datasonic for mykad project, recently price move together..
Bratt Dataprep's subsidiary SOLSIS has a great business model and are starting to close deals rapidly. They are winning in the free market and saving clients a lot of money. Hong Leong Bank signed a 3 years outsourcing deal with them too. Bravo! Bratt And now they won RHB bank's business for entire IT outsourcing. This shows the robustness of their IT setup in SOLSIS. Able to win banks means their IT security is superb and fulfill Bank Negara's stringent criteria. This reputation will fly far. paperplane adding more.....waiting good result soon. dompeilee Bought more Dataprp @ 22c this morning....Recommended to paying clients since 16 Jan.
commonsense This is a company that has been making consistent losses since 2008. 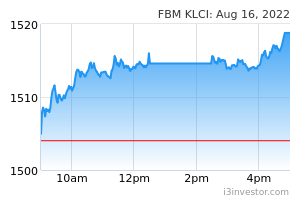 In the 9m19 period, the company recorded a total net loss of RM5.8mil to its shareholders. Expect FY19 result to still be negative bringing it to 12 consecutive years of losses. Some investors believe that FY20 will be different but I think they might be putting too much hope on Dataprep’s management. Most likely FY20 will end up as a loss year as well. dompeilee dompeilee Bought more Dataprp @ 22c this morning....Recommended to paying clients since 16 Jan.
khpwwl Is dataprep will be the next GETS?? ?